Ok, so normally I review childrens toys but a welcome change arrived at ToyBoxLive HQ from Paramount Zone. The delightful Magnetic Puzzle Cube fits appropriately into the category of cool boys toys and on first looks this small magnetic teaser game looks a doddle. suitable for ages 14+ it is dubbed as super addictive and provides hours of fun. The Magnetic puzzle cubes shining good looks and magnetic appeal could fool you into thinking it’s a doddle, but trust me it takes some skill and tact to get this back to what it should be and can become quite an addictive little toy. 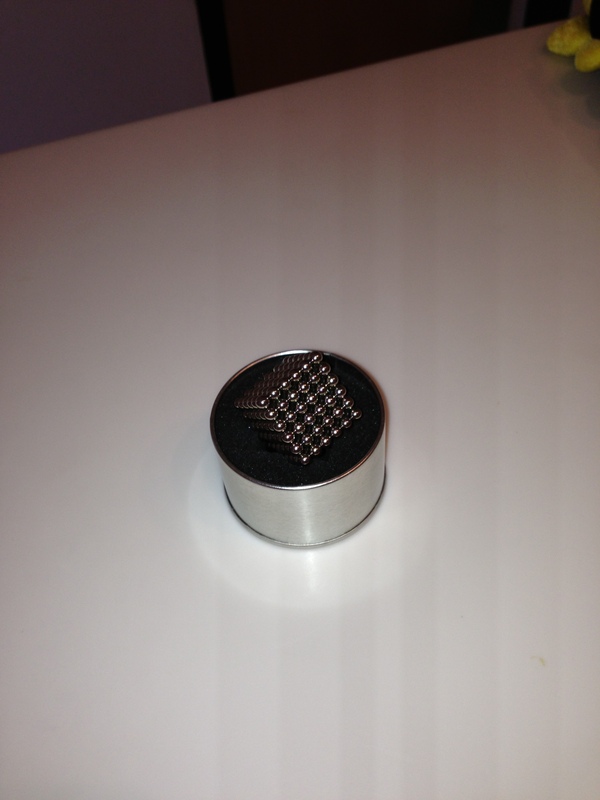 The magnetic puzzle cube is slender, sleek, cunning and it oozes sophistication. I figured I’d take it home get it photographed and share my experience of this gift with you all. Unfortunately just as I was about to photograph it my husband had taken it out of its glorious case and mangled it all up. My approach would have been to study its make up and then tell you all how to enjoy it. What then proceeded was a 45 minute attempt to recreate the lovely cube it once was. The one thing to note about this toy is that it requires logic and patience hence our 45 minute spectacle. The second attempt at recreating the cube however was much quicker and more satisfying and only took about 5 minutes. 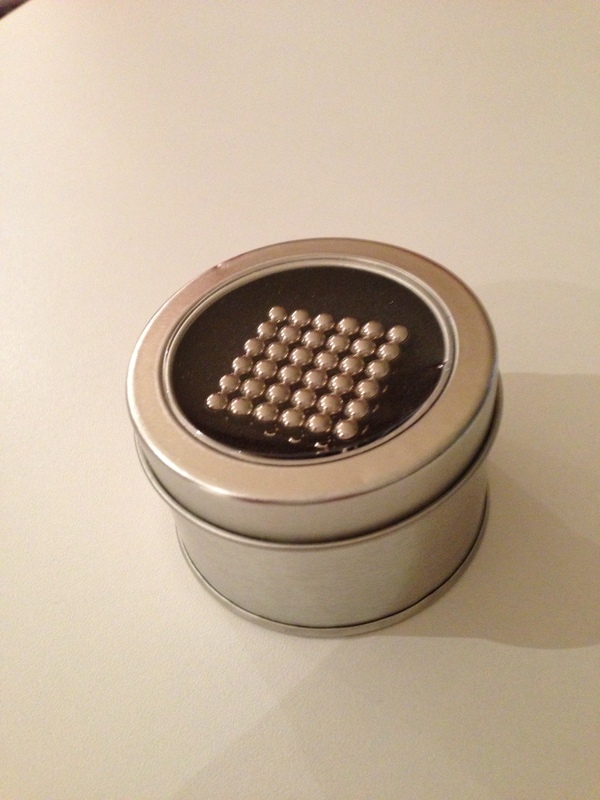 We had now worked out that the magnetic balls need to be organised into a long line and folded over in lines of six to make the cube. If you are looking for cool gifts, a stocking filler or a secret santa gift this magnetic puzzle is a bargain and is currently on offer at half its usual price for just £9.99 from Paramount zone.